I was at a fiction reading once – actually Jonathan Franzen was the author but it could have been any author anywhere – and in the question and answer period afterward someone asked him where he got his ideas and how did he get started writing them. This is one of the two questions people seem to always ask writers in these post-reading sessions. The other is: what are your writing habits? That one is easy to answer. I write a thousand words a day even if it’s on the back of an envelope while in the back of a bus. Or: On days when life doesn’t interfere and I can’t procrastinate myself out of it, I sit at my desk and write. But where do you get your ideas? How do you answer that? You can’t. At least, I can’t. I would have to say something like, “I’m an intuitive writer, so I just start writing and see what comes of it. Sometimes something nearly perfect, sometimes something merely salvageable, sometimes crap.” It’s not a very good answer. It’s not the answer this asker was seeking. It doesn’t matter where you get your ideas, doesn’t matter if a story is launched from something you read, or a phrase, an image, or an event. Fiction is about life, and no one would ask you where you got your life. As a writer, I see my job as trying to reflect the world around me with as deep an understanding as I can muster. The only way I can understand deeply is to wrestle with my characters until I find the words that best convey their situation, and why it’s important to them, and how it changed them. I tend to wrestle my characters once they’re already on the page, flipping them this way and that until they give up their secrets. Some writers, like Edward Jones, wrestle their characters in their head for a long time before putting them on paper. It doesn’t matter which you do or what Jonathan Franzen does. As James Baldwin said, “Everyone works the way he can work.” I admit the work is daunting, especially when taking into consideration all the elements you are supposed to control: character, plot, place, point of view, voice, and so on. It’s work. Its work I do very, very slowly, but it’s an honor to do this work. 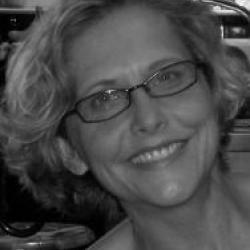 Dawn Abeita has published in multiple journals, including American Fiction, Fiction Weekly and The Potomac. She earned an M.F.A. from Warren Wilson College and has been a fellow at the The MacDowell Colony and Vermont Studio Center. She lives, writes, and teaches in Atlanta, Georgia. It’s true that sometimes good ideas come from just writing and letting the story lead itself. There doesn’t always have to be a grand realization or great meaning behind an idea that leads to great writing. This is a great post. I love how Abeita states, “’For God’s sake, just do it. Stop worrying you’ll fail. You will fail. Stop worrying you have nothing important to say. It’s all important. Just shut up and start.’” I definitely know where the girl in the audience was coming from, and this is the perfect answer. I find that this is true, as well, Kelly. Thanks for your comment. “‘Just shut up and start. '” I love that advice. I always get caught up in the hows and whys of writing when I really just need to sit down and start. For me, the best way to get ideas flowing is just to start writing about whatever I’m thinking about and eventually ideas start to take shape. Even writing little things, like journal entries or silly short-stories, can spark the idea that you need to get going. Thanks for this post! We hope you keep going, as well, Miranda. Thanks! I always save my writing for the laptop, but I do need to carry around a notepad and start writing down my thoughts every so often. Great post. I pick up notepads and journals often, so now I have a dozen or so floating around partially filled with bits of this and that. Thanks for commenting, Kaitlin.